The birth of a new baby girl in Wolverhampton means one large family now has five different generations alive and well. Five generations - centre is three-week-old Brooke Perry, being held by great-great-grandmother Gladys Evans, 96, great-grandmother Carol Bucknall, 75, (top right), grandfather Antony Bucknall, 54 (top left), and mum Lauren Bucknall (25). 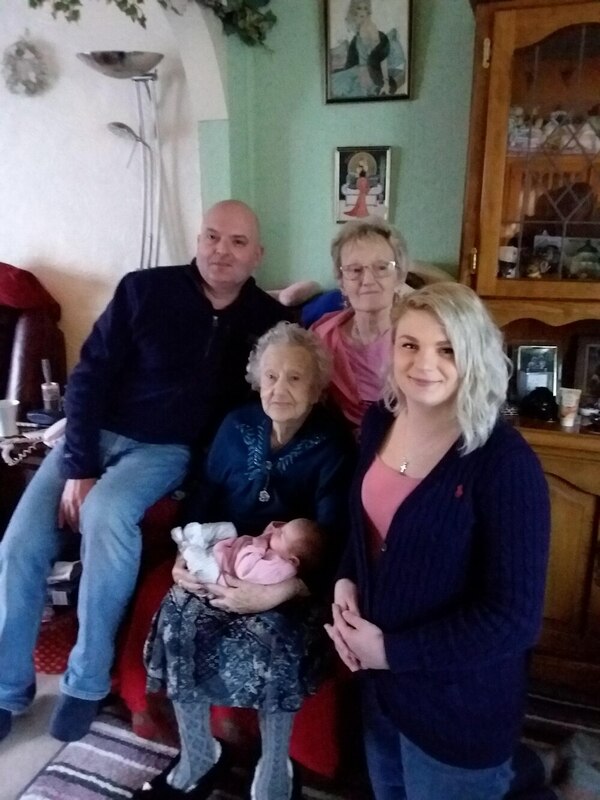 Tiny Brooke Perry was born on January 27 this year, and joined her mother, grandfather, great-grandmother, and great-great grandmother for a rare family picture featuring all the generations - all of whom live in Bushbury and Oxley. And great-great grandmother Gladys Evans, 96, was rather overwhelmed to hold three-week-old Brooke in her arms. Brooke's grandmother Elaine Bucknall, 54, said it was 'quite a rarity' and 'wonderful' to see the family growing in such a way. She said: "It's lovely to see the generations all together. Nan was so taken aback. It was quite a bit for her to take in really. We're all quite a close family, we don't live far from each other. My mother-in-law is only 12 doors down. "This is her first great-great grandchild, my mother-in-law's first great-grandchild and my first grandchild. So it's very special." 25-year-old pharmacy dispenser Lauren Bucknall gave birth to Brooke Selena Perry, and lives with her partner 28-year-old pipe fitter Martin Perry in Oxley. Her father, the next generation up from her, is 54-year-old aircraft engineer Antony Bucknall - married to Elaine, a GP receptionist - followed by his mother, 75-year-old retired dinner lady Carol Bucknall. And at the top of the pyramid is 96-year-old Gladys Evans, Carol's mother, who lives in Bushbury. Elaine added: "Nan is still very much with it and still lives at her own home. Which is really good. She was taken ill only a few days after the photo of the generations were taken, which was a worry, but she is on the road to recovery now." 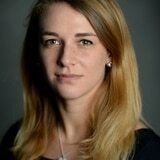 Lauren has five siblings, ranging from ages 28 to 21, and hopes to have a big family of her own. Her mum, Elaine, said: "She doesn't want Brooke to be an only child, but doesn't want as big a family as I had! We're starting all over again."